A Geneva Police sergeant, who was tabbed in 2015 as a “Next Generation Leader” in Geneva, has been demoted to patrol officer, likely receiving a significant cut in pay and loss of seniority. What happened? Twenty city employees applied, but only seven were chosen to participate in the professional development program, including Sergeant Jack Montesanto, who at the time was a six-year veteran of the Geneva Police Department. Montesanto has more than a decade of security and law enforcement expertise in the public and private sectors, including the last six years as a member of the Geneva Police Department. He is currently an investigator with the department’s drug enforcement unit. He is accredited as a police officer in Virginia and New York. It’s important to note that the list of patrol officers appears to be in order of seniority, meaning that the patrol officers at the top of the left column have the most seniority, and those listed at the bottom of the right column are the most recent hires. Montesanto’s name is even listed after PO Trevor Wagner, who was hired on June 18th, 2018. It would appear that Montesanto was not only demoted from his rank as sergeant, but may also have been demoted all the way to the bottom of the roster in terms of seniority. If Montesanto has lost his seniority, that could mean the approximately nine years he has worked at the Geneva PD would not count towards his retirement. According to the SeeThroughNY website, which lists the payroll amounts for all city of Geneva employees, Montesanto was the 25th highest paid employee in the city in 2017, taking home $89,282. In comparison, the salaries for Geneva Police officers with the least amount of seniority (according to the 2017 civil service exam application) are in the range of $42,656.00 – $66,373.00. The Most Serious Disciplinary Action Without Being Fired? Montesanto’s demotion is likely the result of disciplinary action. Whatever Montesanto did, it was serious enough for him to receive what would appear to be the most severe punishment possible without actually being fired. He lost his rank as sergeant. He probably lost tens of thousands of dollars in annual salary. He very possibly lost all his years of service and was demoted to the level of the lowest ranking officer on the force. What could Montesanto have done that would result in perhaps the harshest possible punishment for a police officer, short of being fired? Was there an incident when Montesanto was dealing with the public? Was it related to something inside the police department ranks, or something in his personal life? Unfortunately, it’s unlikely that the public will be given much information on Montesanto’s demotion, due to the highly controversial state Civil Rights Law 50-a. The original purpose of CRL 50-a was to prevent disclosure of “unverified and unsubstantiated” civilian complaints—not to prevent disclosure of substantiated civilian complaints. Thirty-two organizations, including the New York Civil Liberties Union, NAACP Legal Defense and Educational Fund, and the NYS Committee on Open Government, support the repeal of CRL 50-a. Contact the new Police Chief Mike Passalacqua and ask him why Montesanto was demoted. Contact City Council and tell them the public deserves to know what happened with Montesanto. 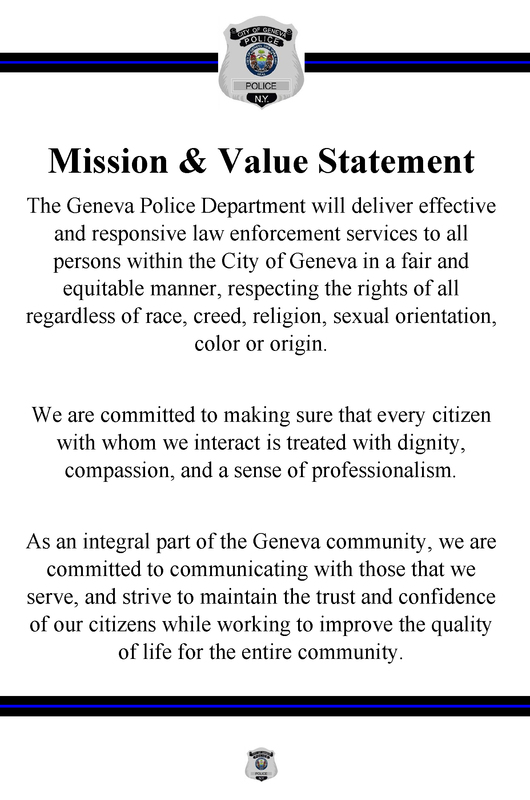 The Geneva Police Department has been under heavy scrutiny for years and the public’s trust in the PD is already deeply damaged. Having an officer on the road who has been given what appears to be the most severe disciplinary action possible (short of being fired) can only further damage that trust. Also, any readers with inside information on the Montesanto situation can contact Geneva Believer by using the contact page on the website, or by calling (315) 577-3770. As always, Geneva Believer will protect the privacy of any sources wishing to remain anonymous. The city fires, then re-hires the same officer and doesn’t have to answer questions ? Union goes along with the decision, I assume ? Officer hasn’t spoken publicly ? Casey Stengel once said “I don’t mind getting screwed, just you put a pro on the grease pot.” They need better liars.